BLAC-RAC’s design is the most versatile, compact firearms retention system available. Multiple firearms, multiple locations, multi-purpose. 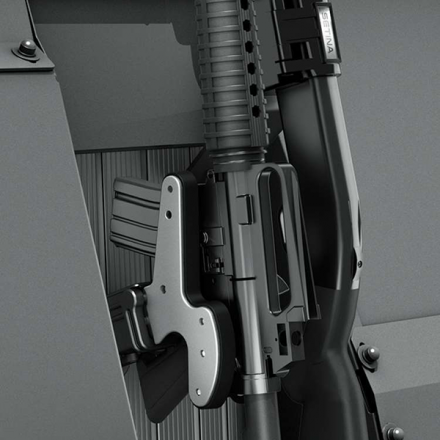 The BLAC-RAC is specifically designed to allow the user to mount firearms with wider receivers. In conjunction with our proprietary receiver width adjustment, the trigger post adapter ensures that the trigger post is extended as the receiver width increases. 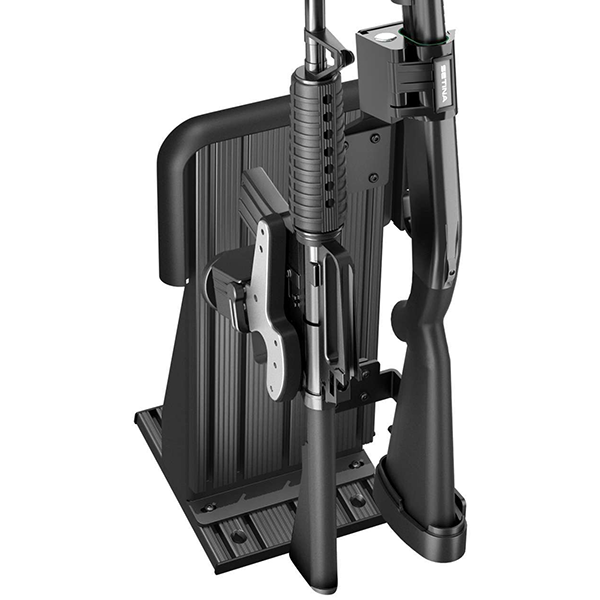 The modular “T-Rail” technology allows the firearms systems to be easily converted from partition mount to a stand-alone mount by simply adding a base. “T-Rail” technology also provides maximum adjustability for multiple firearms and flexibility to accommodate multiple gunlock heads. Available in Electronic or Manual models. Microprocessor technology eliminates the problem of solenoid burn-out. Electronic model with delay timer. Cold Wire technology prevents hot wiring. Standard black powder coated steel or stainless steel marine models. Optics friendly, and will not interfere with scopes, optics, lights, or lasers. 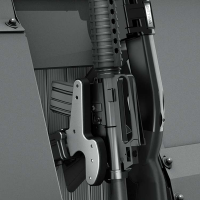 Handles 30 round magazine when firearm is mounted. 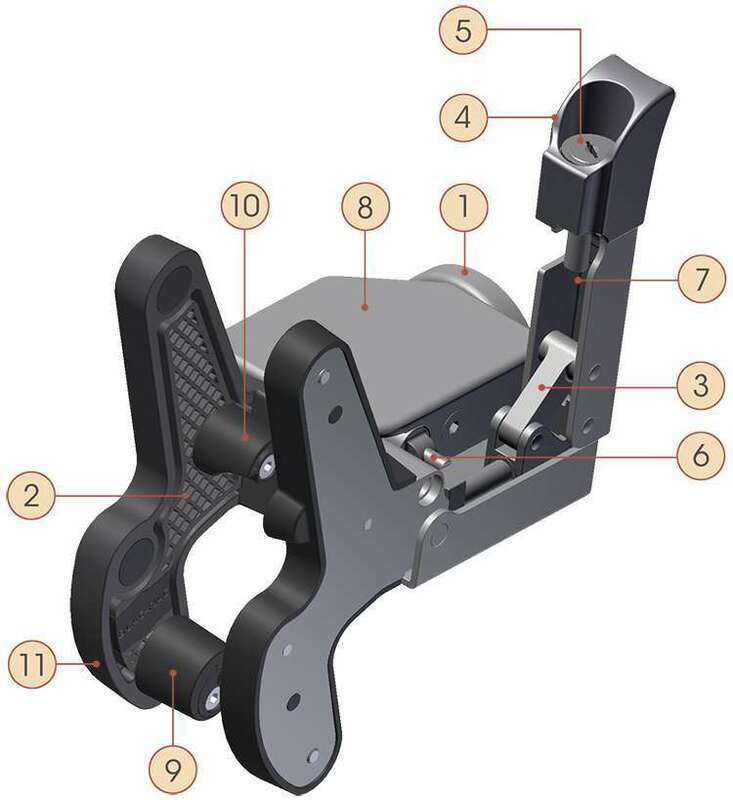 360 degree swivel and 45 degree offset positioning. Receiver adjustments allows for slim and wide receiver firearms. Has the smallest mounting footprint of any firearm mount on the market. Absorbs shock and vibration, eliminates rattling. Available in double or single vertical partition mount, stand alone, partition mount, trunk mount, armory, watercraft and aircraft mount.